With so many tools available in the digital realm, creating a new website is easier than ever. With online hosting setup, the basis for a professional website can be established in just a few minutes. While tweaks and improvements will obviously take more time, setting up the foundation for such is no longer a huge undertaking. WordPress arguably has played a greater role in this trend than anything else. Offering seemingly unlimited levels of customization and an easy-to-use interface, everybody from small-time bloggers to Fortune 500 companies make use of the software. However, there are many factors that must be considered when deploying a professional WordPress website. Below, we’ll examine what you should consider regardless of your niche or audience. Arguably the biggest first decision you’ll ever make, where you choose to host your new WordPress website matters greatly. All too often, brands skimp on hosting – and ultimately pay the price. The quality of your hosting services can impact many things, but most notably, it can impact page speed. If visitors are pinging your website and having to wait 5 or even 10 seconds for each page to load, this can cause some substantially negative outcomes. Between the increase in bounce rates and the implication it can have on SEO, you can’t afford this. As such, always make sure to evaluate any prospective hosting’s capability of delivering the fastest speeds possible. Exactly which features you wish to have for any website need to be evaluated from the beginning. WordPress provides a seemingly unlimited number of plugins and functions, but you cannot possibly accommodate them all. As such, finding the right plugins for your specific needs is paramount. One such reason that plugins are a major point of consideration is due to the previous consideration: page speed. As websites add more and more plugins, the speed of the website begins to slow down, requiring more and more optimizations to overcome. As such, minimizing the number of plugins that are installed at any given time while offering all of the features required is truly a balancing act. The overall design of any WordPress website can affect its performance substantially – both from a technical standpoint and from an appeal standpoint. Some themes are more resource-intensive, which can potentially cause issues in the future. Likewise, your audience will expect a theme that is intuitive, aesthetically pleasing and easy to use. You also want any theme to incorporate your brand’s values, image and other abstract aspects. Considering how color and layout correspond to your brand’s aura is crucial when designing any website. For optimal long-term performance, your website needs to be designed with SEO in mind. Some themes are better for this purpose than others, and there are plugins available that can assist in the process. Ultimately, pinging your website with well-written content doesn’t matter if the website itself isn’t designed with SEO in mind. As such, considering how the framework of any new website will work and how it can generate synergy with future SEO efforts is very important. 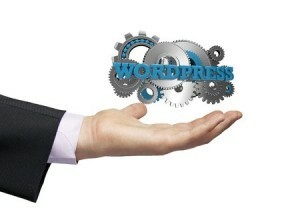 When building a new WordPress website, several factors must be considered. However, elements such as SEO, overall design and functionality rank at the top of any list. By ensuring these factors are prioritized when building a website from scratch, you’ll ensure that the future of your website is both strong and scalable. Talkwalker – A Suitable Replacement for Google Alerts?